Welcome to Davidson County Schools! As you plan to enroll your child, we would like to help make the enrollment process quick and easy. Please refer to the tabs to the left of this page for more information regarding registration. Registration is held in the spring of each year. 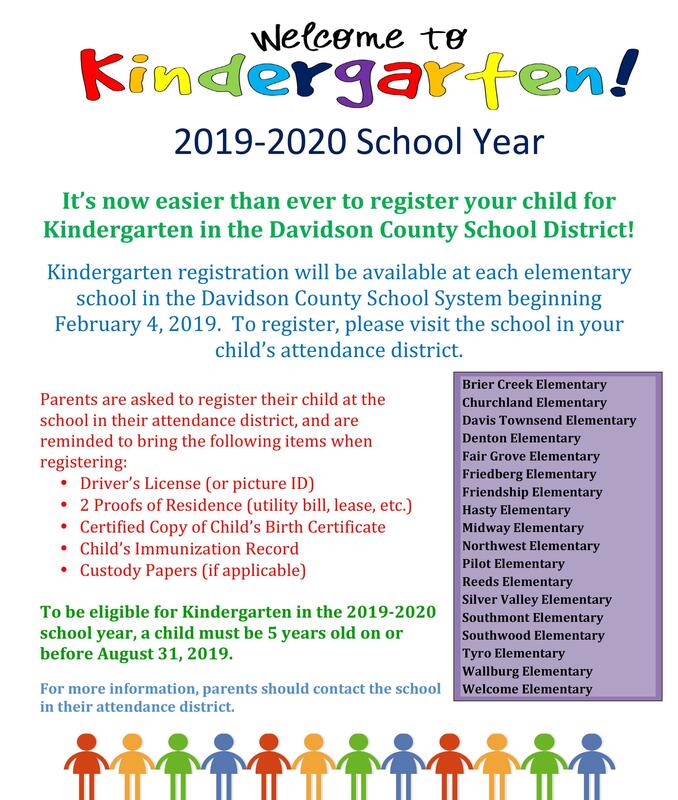 A child entering Kindergarten must be five years old on or before August 31 of the year he/she is presented for enrollment.